We wanted to thank all of our guests we had at this weekend's craft fair at Hope Community Church at Westminster and at Saint Irenaeus at Cypress. 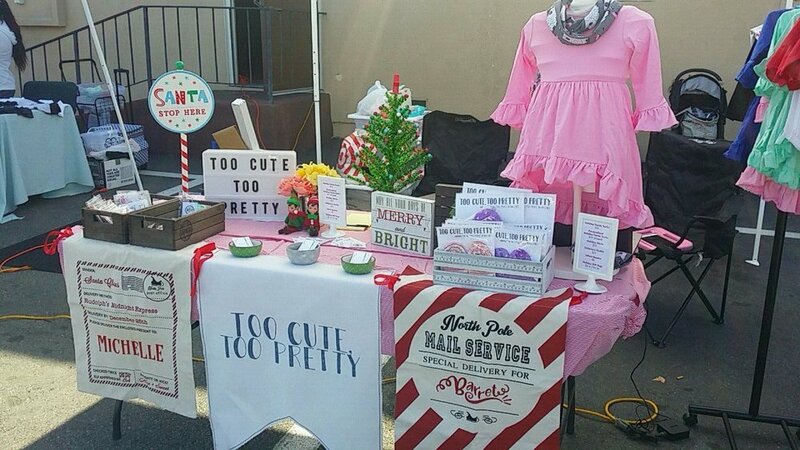 We had a lot of fun and was an awesome way to kick start the holiday crafting season. I plan on creating an order form for our custom Santa Sacks. I hope to the forms ready early this week so please check back soon. They will be available soon at our Order Form page. In the mean time, if you would like to order any Santa Sacks please fill out our Contact Form with your order details. 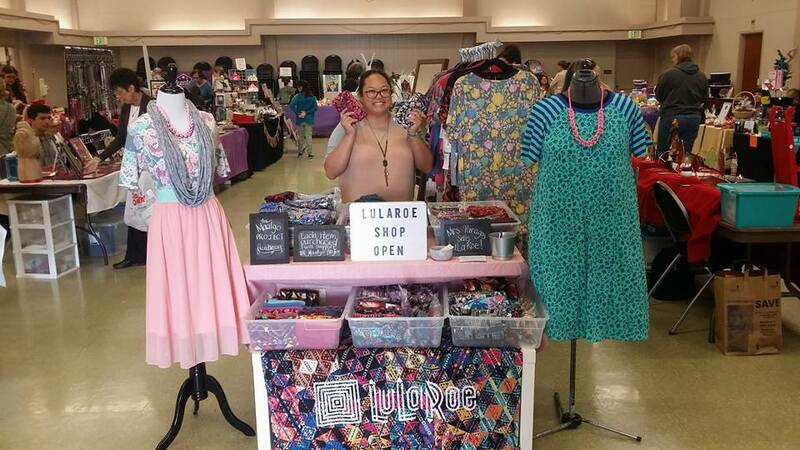 Leslie at her LuLaRoe booth at Saint Irenaeus. Our other booth at Saint Irenaeus.